The Fluik gang have managed to create a perfect mix of violent amusement in a relatively bloodless environment, which makes Office Zombie ideal for the younger zombie-obsessed gamer geeks. In order to move forward in this game, a long checklist of challenges must be completed. In-App purchases are offered to add weapons or you can choose to view a video advert so you can sample new weaponry for free. I was hooked after just after hurling a gold vinyl record that instantly decapitated the snarky desk zombie who taunts by chanting "braaains" every so often. The axe and exploding teddy bear can also be used to behead the working dead, making the fun three times better. Office Zombie has great illustrations and plenty of room to evolve as long as developers continue to add fresh creative items to hurl across the room. 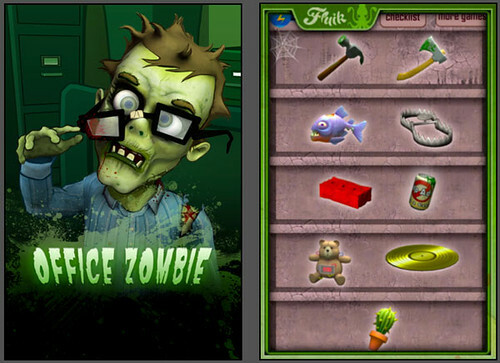 Office Zombie made it as a number one monster hit in the App Store for the right reason. It's friggin fun to play! It's that simple. Fluik Entertainment merged their collective brains and decided not to reinvent the wheel, they just zombified it with great skill. If you don't think that's a brilliant idea, then EAT ME! 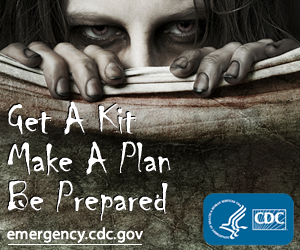 I mean that literally for all you walking dead iPhone gamer zombies out there. Mmmmm Braaains!